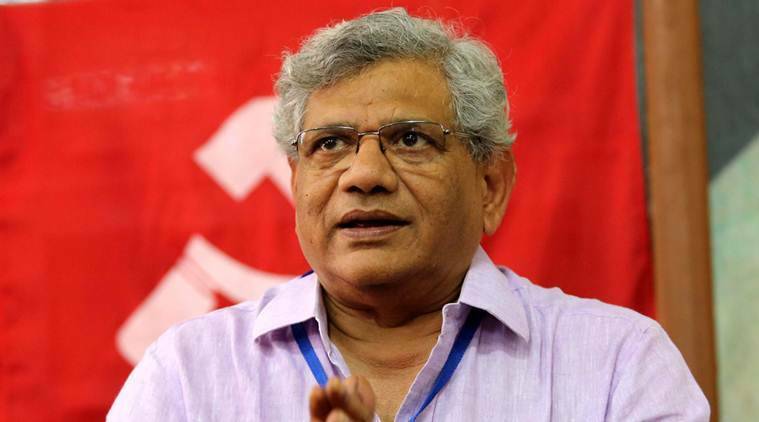 Yechury said the movement should be remembered for its shared legacy, which had united Hindu, Muslim, Dalit, Brahmin and Rajput. “We achieved our independence because of that unity,” he said. He said the Prime Minister has said in his radio address that the five years between 1942 and 1947 were crucial years and had set certain goals to be achieved in the five years from 2017 to 2022. Yechury questioned the rationale behind observing the Quit India anniversary “if what has to quit India does not quit India”. “You have to quit these economic policies that are increasing unemployment, that are increasing poverty, that are increasing the divide between the rich and the poor, that are creating two Indias… We are creating two Indias, one for the poor and one for the rich, that wealth amounting to 49 per cent of the GDP in 2014 was held by one per cent of the Indian population. Today… nearly 60 per cent, 58.4 per cent… GDP is in the hands of one per cent of our population. Is this the India of the dreams of 1947 when we became independent?” he said. “If there is anything that must quit India today on its 75th anniversary, it is the neo-liberal economic policies that are impoverishing the mass of my people; it is this communalism that is dividing my country and disuniting our people in the struggle to create a better India,” he said. “It is not just recollecting the memory of the past — that is very good, we can recollect – we can also apportion the blame; we can also say who did what. But the question is are we going to move forward or are we going to look backward?… The movement forward should be for strengthening the secular democratic republic of India and not for creating a Hindu Pakistan in India… So, let us observe Quit India by saying, quit neo-liberal reforms, quit communalism,” he said.